Harry’s Carpets has been bringing beautiful floors and installations to the San Francisco Bay area since 1982. At Harry’s Carpets, we sell you the flooring, and we also work with you until the floor is in your home. Installation is the key component that bridges how flooring looks in displays and advertisements to how it looks in your home. A floor installed by the professionals at Harry’s looks as good, if not better that the displays. The secret behind our installations is a trained and credentialed team of installers. Each member of our team frequently goes to manufacturers’ training and updates. Our installers have a broad range of skills, and we send the installers best qualified to your installation. 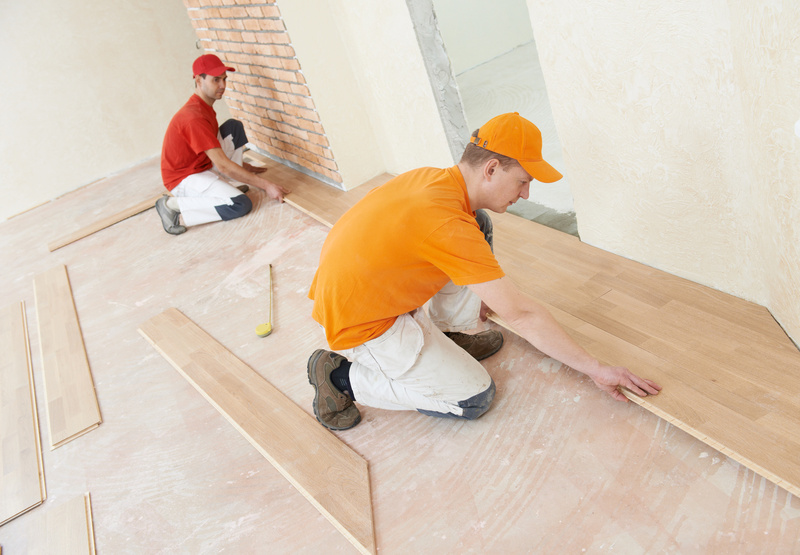 Before your flooring is installed, tending to some details ahead of time will make the installation go more smoothly. If you need help with any of these, please let us know and we will work with you to get them done. With any flooring that requires special preparation or installation, you will be fully briefed ahead of time. Because unexpected snags may occur and your input needed, please arrange to be available at home on installation day. For the safety of children and pets, they should be kept far away from the installation; we use power tools that are a magnet for curious eyes, and there has been more than one cat that has secreted itself in our crew truck! Clear the installation area of all furniture, furnishings and appliances; if you have gas (natural or propane) appliances have them disconnected and reconnected by a licensed professional. The installation and work areas need to have power, adequate work lighting and access to water. If you are having new wood flooring, it will be delivered early so that it can acclimate to its new environment. Wood swells and contracts when changing environment and it’s best to have that done before being affixed permanently. Manufacturers specify the acclimation protocol for their flooring. If all the prep work is done, the installers will be able to do their job. At the end of the installation, you will be asked to walk through for approval. If you see anything needing adjustment, it will be seen to immediately. Harry’s Carpets showroom is located in Burlingame and serves San Francisco, Daly City, San Bruno, South San Francisco and San Mateo. Stop by or call us to discuss your flooring and flooring installation needs.